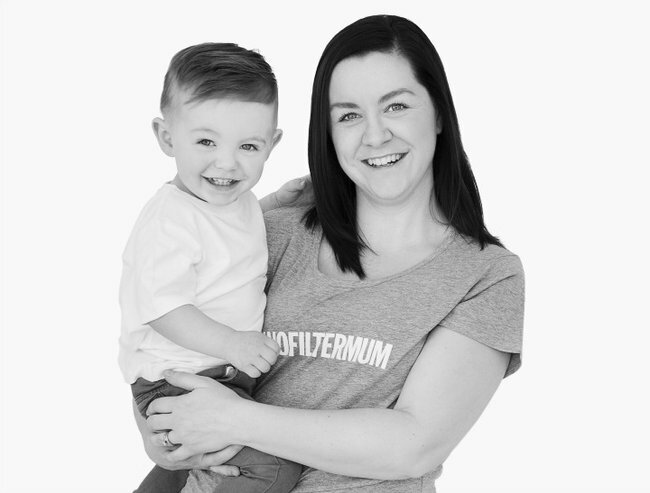 One mum's take on the stigma of postnatal depression. "I couldn't be left alone with our baby because it was so overwhelming." Kylie is mum to Blake, 18 months. After a traumatic birth experience, she spent six weeks at a Mother and Baby Unit as she sought help to treat her postnatal depression. It got to the point that I couldn’t be left alone with our baby because it was so overwhelming. I was so broken that even the slightest cry would see me fall apart. Motherhood was the first thing I’d really ever tried that I’d failed at. Usually if I try something and stick with it I can get it. But I just couldn’t figure this out. I had so much guilt about how I was feeling. Having friends who couldn’t have children I knew how lucky I was, yet I didn’t want to do it anymore. I had a fantastic maternal health nurse who never made me feel like I was being silly and supported me in seeking help through The Raphael Centre. With the help of my GP, The Raphael Centre was able to start my diagnosis and treatment for postnatal depression. But it wasn&apos;t enough. I needed daily support and to have someone there, living it with me. Blake was three months old when we applied to get into Werribee Mother and Baby Unit and by the time a place was available he was just over four months. I was so lost when I arrived. I had nothing left. I just felt indifferent; numb. I just wanted them to fix my kid. I didn&apos;t look forward to anything except going to bed. I was not the person I was before having Blake. It was an uncomfortable experience but it saved us. When we arrived I thought there was no way I was going to be able to stay but by the end of the first week I never wanted to leave. There weren’t any televisions in the rooms, only birthing beds to sleep on and awful hospital food, but there were also midwives around the clock, other mums going through similar journeys and experienced mental health staff. It was a really uncomfortable experience but without it I don&apos;t know where we&apos;d be. It saved us. I never imagined that there would be such a change in me in the weeks I was in the Mother and Baby Unit. When I was ready to go home, I knew. I was full of hope again and excited for what life might be. I remember the stigma around postnatal depression when I first came to terms with it. I was so worried about what people would think of me if we spent three days in a sleep school. Now I have no issues telling strangers I spent six and a half weeks in a mental hospital. It&apos;s all about understanding and knowing that it&apos;s okay. The situation brought my husband and I closer. When I was falling apart my husband would step up and rock our screaming baby for hours overnight and then get up at 6am and go to work. Looking back at those moments makes me so grateful for the family and support network I have around me. I’ll never be able to thank those enough that were there for me during that time. For a long time I said I would never have another baby. Now I&apos;m slowly coming around to the idea. I was so terrified of going through it all that again that it just didn&apos;t seem worth it. I know that if we decide to have another child I could end up with postnatal depression again but I also know that we will go into it more experienced, with more skills and tools to get through it. A woman is more likely to develop a mental health problem around the time of having a baby, more so that at any other time of her life.